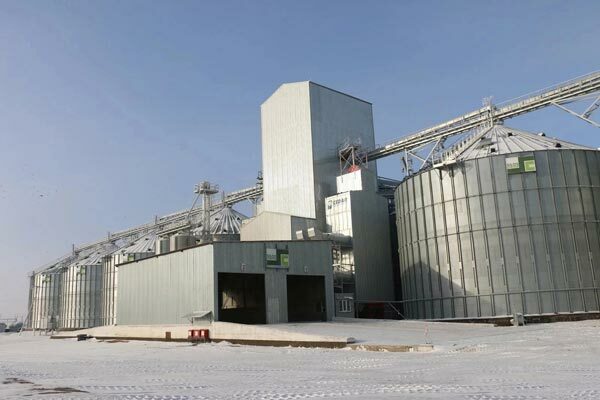 This plant is conceived for the reception, storage and expedition of wheat. 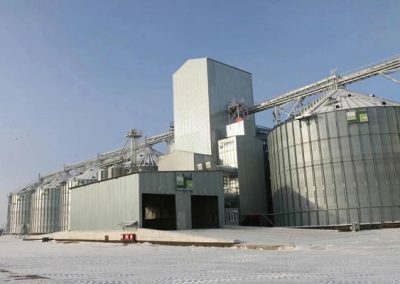 The total capacity of the plant is 54.300 m3 for the storage of 40.750 T of cereals. 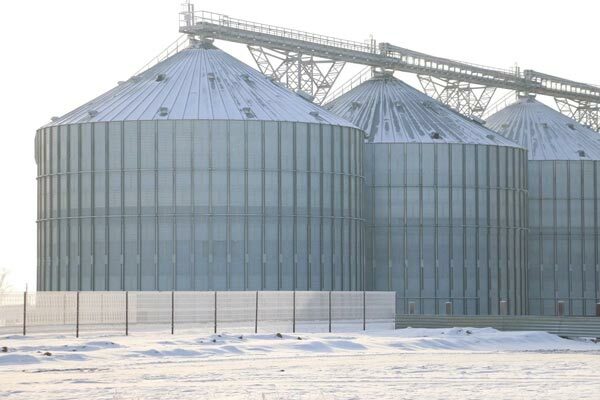 8 silos model 22.92/12 of 6.500 m3 capacity each. 4 silos model 6.88/6 60º of 352 m3 capacity each. 2 silos model 6.11/9 60º of 360 m3 capacity each. 2 train load silos model 4.65/3 60º of 88 m3 capacity each. 2 hoppers for truck reception and 1 hopper for train reception. 2 pre-cleaning lines, 2 cleaning lines and 2 drying lines. Base tower 9.5x16m and 31 meters high that houses the cleaning machinery and 10 elevators. 2 semi-automatic lines for filling and bagging.